Loosely based on real events, Affections tells the story of the eccentric, fascinating Ertl family, headed by the egocentric and extraordinary Hans, once Leni Riefenstahl's famous cameraman and Rommel's 'personal photographer'. Having fled Germany shortly after the country's defeat in the war, the family now lives in Bolivia. However, shortly after their arrival Hans - an enthusiastic adventurer and mountaineer - decides to embark on an expedition in search of Paititi, a legendary Inca city. The failure of their outlandish quest into the depths of the Amazon rainforest proves fateful, initiating the end of a family whose subsequent voyage of discovery ends up eroding everything which once held it together. Rodrigo Hasbun is a Bolivian writer born in 1981. 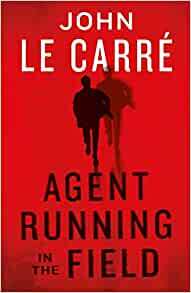 He has published two novels and a collection of short stories; he was selected by the 2007 Hay Festival as one of the Bogota 39, and in 2010 was listed by Granta as one of the twenty best writers in Spanish under the age of 35. Two of his stories have been made into films, for which he co-wrote the screenplays. 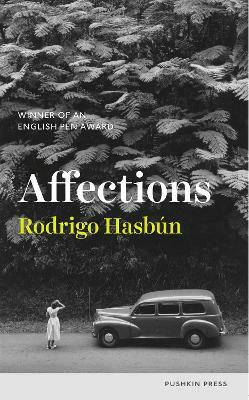 Affections is his second novel and will be published in ten languages.